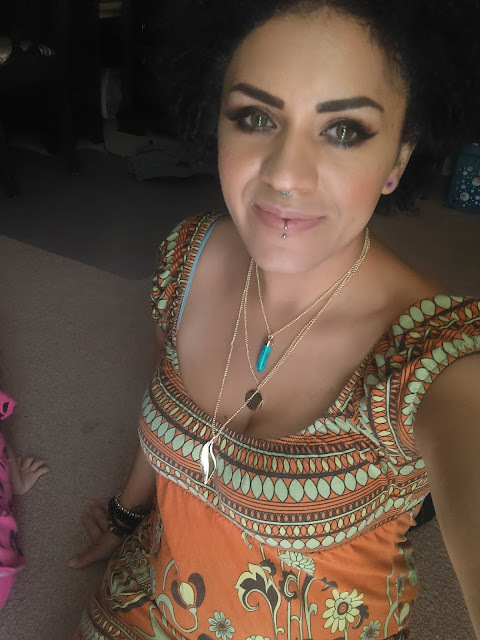 The Girl With The Spider Tattoo: Isn't My #Kisspat Triple Layered Necklace Pretty? 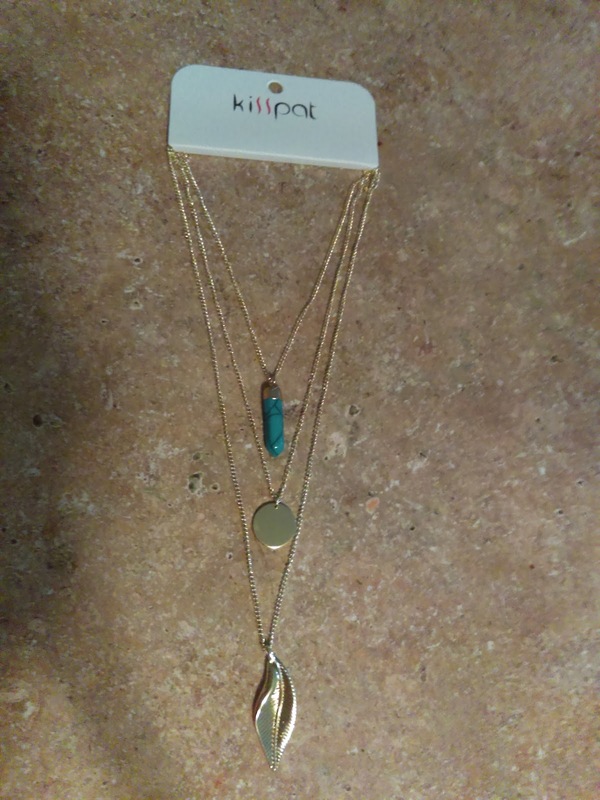 Isn't My #Kisspat Triple Layered Necklace Pretty? Hey guys!! I'm back with a new, beautiful product from one of my favorite companies. Do you remember the gorgeous hot pink and black hair extensions that I shared with you guys a few weeks ago? They were from the brand Kisspat. Well, I'm pretty sure that I mentioned that they also have other products. In fact, here is a necklace from their line. It is a triple layered chain with a turquoise pendant, a gold disc, and a golden leaf/feather. It has a clasp in the back to close that you can slightly adjust the size of. Here is a full photo of what it looks like when worn. It is seriously oh-so-pretty. I love it because it has a bit of a bohemian/hippie feel to it. It's not very heavy at all and is a nice gold shade. I especially like the turquoise pendant because the color is so bright. 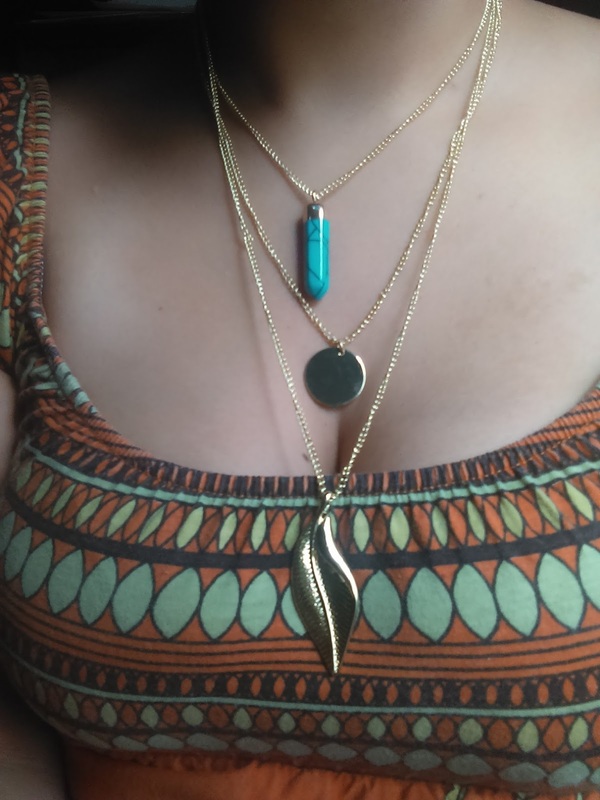 Although I don't normally wear necklaces all the time, this one is something I know I will be wearing often. I love that it can be worn with a number of outfits, whether I'm dressed casual or fancy. This product can be purchased on Amazon. You can also check out all of their other jewelry and hair products that they have available.